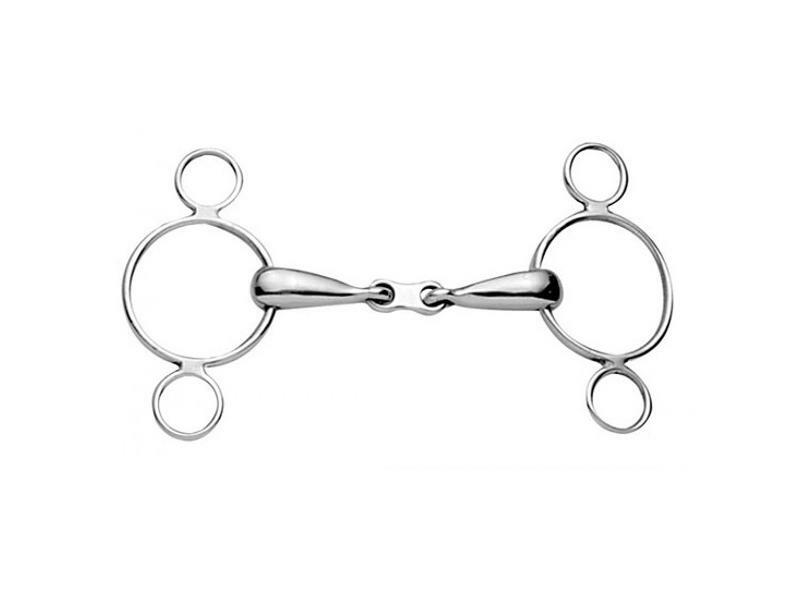 The Korsteel French Link Two Ring Dutch Gag is milder on the horse's mouth than a single-jointed gag, due to the central link reducing the nutcracker action on the tongue and roof of the mouth. 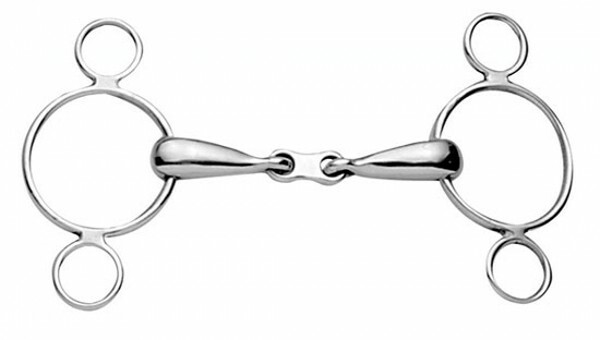 The Korsteel French Link Two Ring Dutch Gag bit's main action is on the horse's poll, the roof of the mouth and on the bars of the mouth. The amount of poll pressure can be increased by attaching the rein to the bottom ring, therefore making the bit stronger and more severe. The Two Ring Dutch Gag can be used with one rein, two reins or with roundings. If a small amount of chin pressure is required, curb hooks can be attached to the top ring to use a curb chain, or a leather strap can be looped through the top rings and under the chin. This bit is not dressage legal. There are currently no questions for Korsteel French Link Two Ring Dutch Gag - be the first to ask one!